Boy ... where do we start. So there was a day where we came across a couple of 'good-sounding deals' on StreetDeals (one of which was Colonial Bistro which was less than enjoyable). The other was an all-day brunch set for $12.90. Hey you can't go wrong with brunch right??? Well the answer was yes! Yes, you can. Given the horrific reviews over brunch at HGW (users of the same voucher), we had intentions to give it a pass altogether. But hey, the thing about coupons is that you've paid for it already yea? So we made a reservation and came by on a Monday night. Despite the strange table layout, the interior of the place was quite nice. Although the football channel on TV and the strange mild stench at the corner where we were seated didn't quite help things. And yes, the service. Well. There was service, in the sense of people serving you. But none of them quite knew what they were doing, with demeanour and conduct rather unfitting of the decor of the place, and they seemed to be in a constant, distant state of confusion. 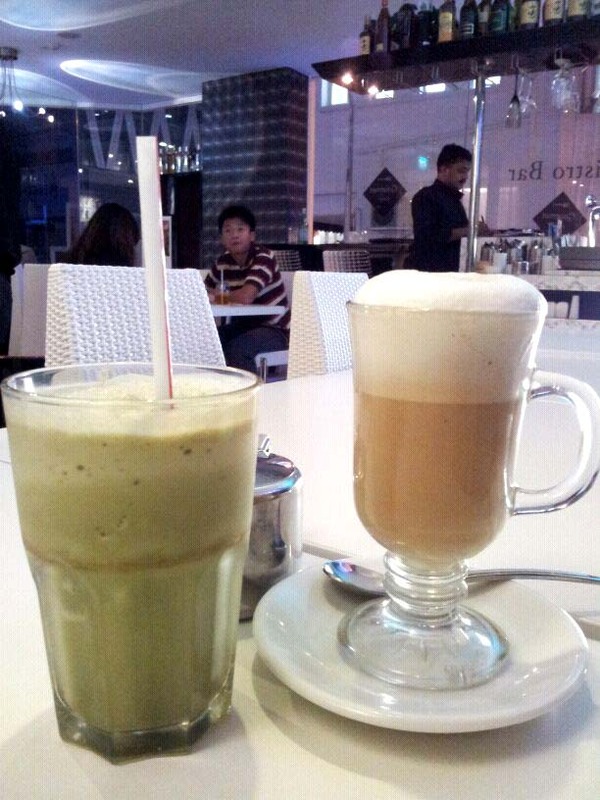 Anyway, we were roughly instructed on what we can order - I settled for the green tea latte while had the regular latte. Well ... at the very least mine was indeed blended tea with matcha powder ... I think. It was barely alright - you could still taste the powderi-ness of the powder, but despite how green the tea was the matcha taste wasn't too strong. Knowing to steer clear of the breakfast foods, we both ended up ordering sandwiches. But we were trying very hard not to laugh or give a 'wtf' face we got served this - somebody didn't read the food plating for dummies. 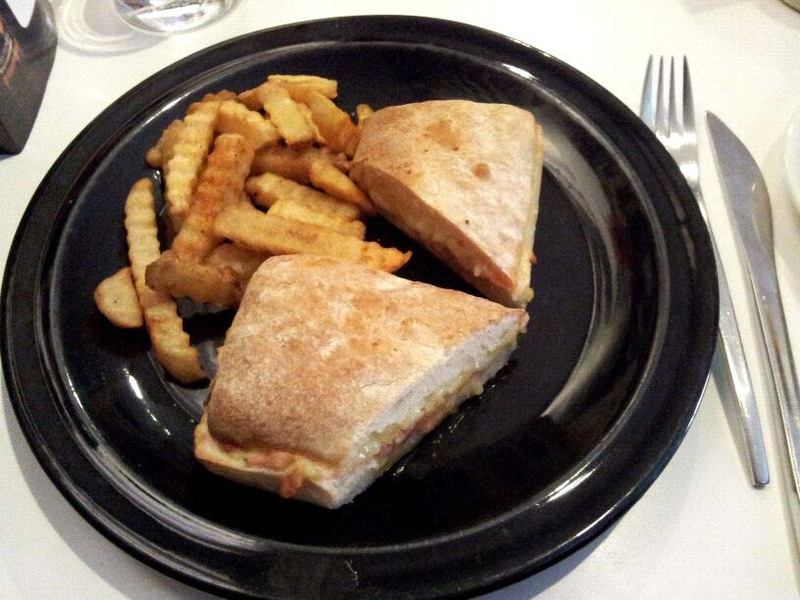 In semi-hippie style the sandwich was cut in half, placed at random angles, a small tuft of fries on one side, and a huge empty space on the other. Everything was brown, on a black plate. 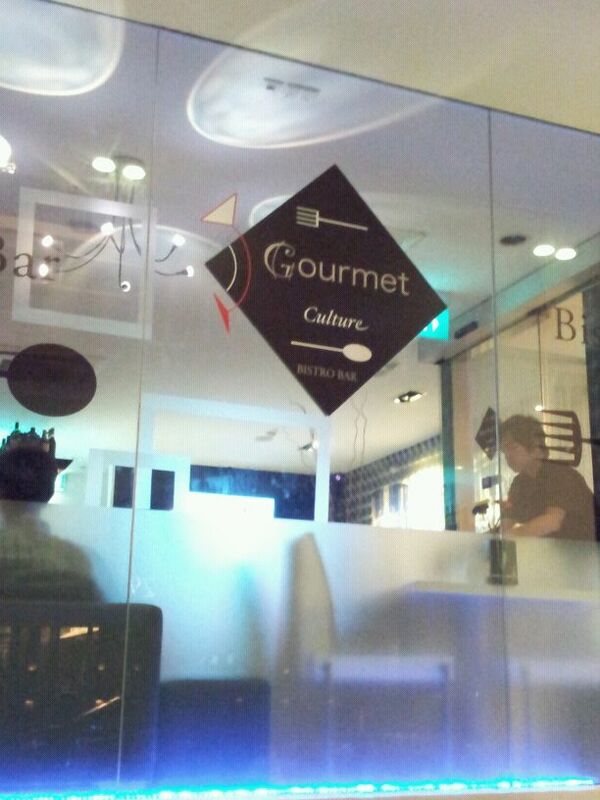 Not only does it scream boring food, it just BEGGGSSSS the question - what should be in that empty space????? A few leafs of lettuce and cucumbers would have changed the entire plate, and wouldn't have cost more than 10 - 20c. Seriously? OK so (lack of) presentation aside, the sandwiches tasted slightly better than how it looks. To be fair, the smoked salmon one came with lots of cheese (although the smoked salmon is now fully-cooked salmon because the sandwich was pressed/toasted! geez) Curry chicken was - thankfully just as what we expected - curry chicken (also with cheese, which was quite interesting). But honestly.. this is literally just stuff between bread and some fries on the side. You're not going to find any semblance of fibre here. And I'd like to point out that the mustard we requested for was strangely watery. We can only conclude it was diluted with water - really, who does that?! Oh well. To redeem the drink and the sandwich I had the pancakes - been craving pancakes for a while. 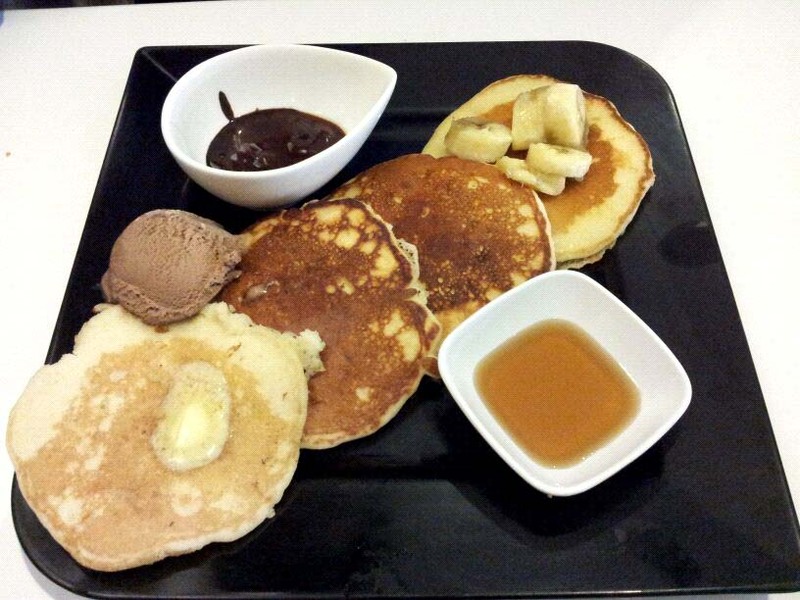 No uniformity to the pancakes - did 4 different people make each pancake? Taste wise though they were just alright, just slightly worse than McDonald's hotcakes. The chocolate syrup was almost artificially bitter, and once again, food-plating-101 fail here. Strawberries were missing but I couldn't be bothered at this point. 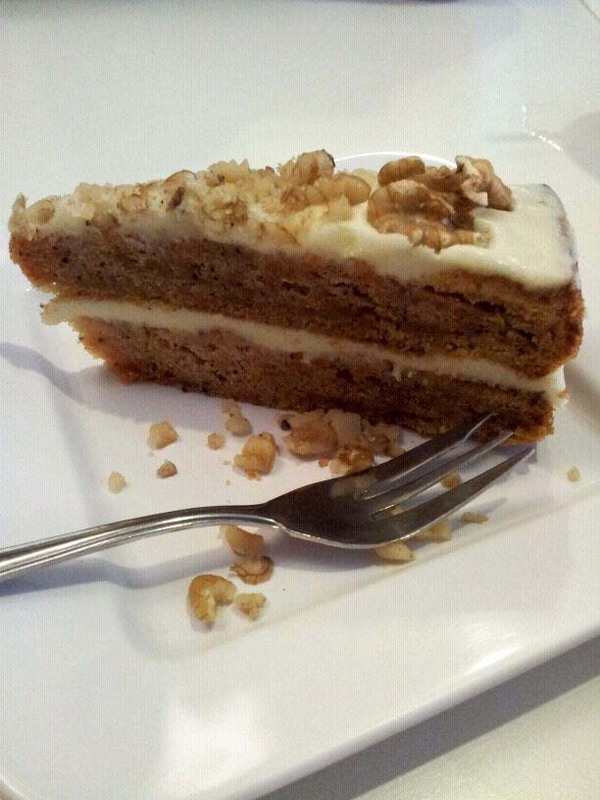 Was going for the tiramisu but it wasn't available, so I had the homemade carrot cake. I cannot even begin to describe how woeful this was, so I won't bother! Simply put this is the most inedible things I've ever had. It was as dry as sawdust - and they didn't even use cream cheese! Even if they did, it tasted closer to icing sugar.